No packages. Just one session required to bring back your crowning glory in 30 minutes and zero downtime. Regenera Activa technology relies on the most updated regenerative medicine protocol to date – the ‘Stromal Vascular Fraction’. This hair loss treatment relies on your body’s own ability to produce new functioning hair follicles by ‘activating’ the inactive areas in the scalp. Not necessarily age but rather androgenetic alopecia due to sensitivity of hair follicles to androgen. This is the most common cause of hair loss and occurs in 70% of men and 40% of women in a certain period of their lives. In men, there is usually a recession of the hairline at the temples (receding hairline) and baldness at the top. In women, it usually manifests in the form of scattered thinning at the top of the head. Restore your crowning glory Regenera Activa without chemicals or enzymes. No packages, just one treatment in about 30 minutes and ZERO downtime. Effects last up to 2 years with visible results starting after 1 month of the treatment. Regenera Activa is a medically researched procedure hailing from Spain, which uses autologous micrografts obtained from your own self. Small samples of skin of 2.5mm wide are painlessly taken from the back of the scalp. These skin samples contain hundreds of thousands of cells that can activate resting hair follicles! The precision engineered Regenera Activa device further divides them into smaller, more absorbable portions called ‘micrografts’. Regenera Activa reverses ‘miniaturizing’ of the hair follicles that are affected by DHT and genetics. We will then prepare the micrografts to be reintroduced to areas of the scalp that are experiencing hair loss. The micrografts go to work immediately to reactivate weakened hair follicles by increasing the work rate of these follicles and stimulate new blood vessel formation to nourish these hair follicles that are now working harder. In about 30 minutes, the entire process is well tolerated with ZERO downtime. 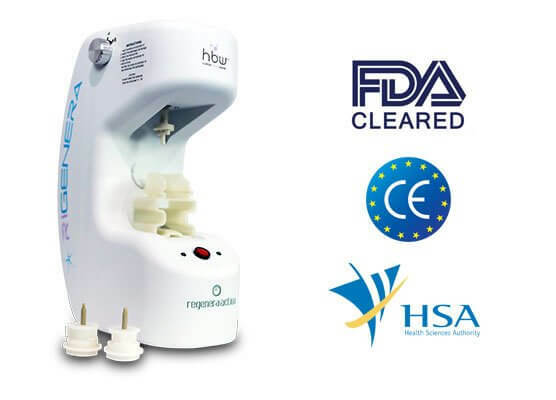 Regenera Activa has gone through extensive clinical trials across the world and has achieved US FDA, CE and HSA approval as a medical device. These ratings assure patients of its safety and effectiveness. Furthermore, Regenera Activa has no side effects as opposed to medication type options like finasteride and minoxidil. While both men and women can benefit from this hair regrowth treatment, a consultation with our trained team is vital to assess whether your hair loss is related to the problem of androgenetic alopecia. Once the diagnosis is confirmed, the severity of your condition will be assessed – candidates with severe stage is not ideal for the procedure. 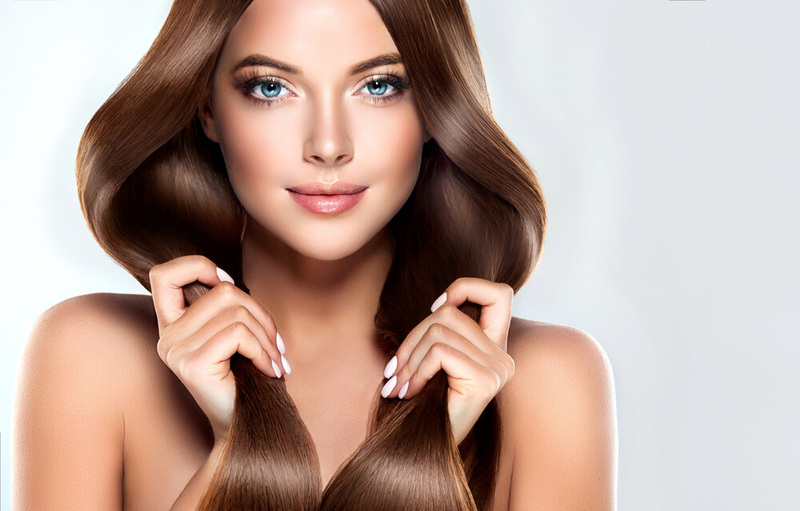 If you are diagnosed suitable for Regenera Activa treatment, the activation of the dormant hair follicles is almost immediate with visible results within 30 days. Hair strands become thicker and longer with better coverage of the sparse areas. Therefore, offering a ZERO downtime hair loss solution as compared to hair transplant surgery, which requires a week of recovery time. Expected to last up to 2 years. Studies have shown that in 4-6 weeks after treatment, the hair loss is stopped and the existing hair follicles begin to regenerate new hair. It is recommended to repeat the treatment after 15-18 months to maintain the results.